Cook up some Kansas City Style Ribs with this easy recipe for charcoal grill smoked baby back ribs! They pair perfectly with Gnarly Head’s Authentic Black wine! In the southern United Sates, meat takes on a life of its own in the heated debates that surround regional barbecue. What kind of meat? What kind of sauce? Any sauce at all? Coleslaw or not? The questions go on and on. 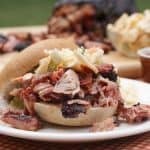 In the early 1900s, Henry Perry opened the first BBQ restaurant (actually a smoked-meat stand) in Kansas City in 1908. He came from Tennessee, near Memphis, and brought Memphis style barbecue north, with his own twist. While Memphis style BBQ is typical done wet (with sauce) OR dry (with just a rub and no sauce), Perry started combining these two. 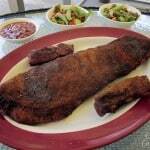 So, in Kansas City BBQ, you will often find meat dry rubbed before smoking and finished with a sweet and slightly spicy sauce. 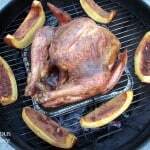 Perry also was known for using multiple different kinds of meat in his smoker. And, to this day, Kansas City style barbecue is known for serving up the widest range of meats of any other barbecue region. One cut that is particular to Kansas City is what they call “burnt ends”. These are the tips of the brisket (beef or pork) that get crispy and crackly during the long smoking time. Rather than discard these ends that weren’t suitable for slicing to serve, they slather them in sauce and serve them up as the delicacy of the brisket. It might sound like a marketing ploy, but trust us, once you taste a bite of tender, crispy, caramelized burnt ends, you’ll be forever in love. Baby back ribs are pork ribs that come from the part of the ribs that are attached to the backbone. 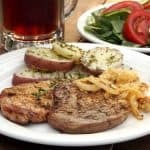 They are tucked under the loin muscle, and often have a bit of pork loin meat attached to them, making them the most tender, and leanest, ribs. Slightly over half of the weight of these ribs is bone, so take that into consideration when you are figuring out how much to serve. This is opposed to spareribs which are a larger section of rib that is cut from further down the ribs than the baby backs. Spareribs have more meat than baby backs and a lot more fat between the muscle fibers, making them incredibly juicy and flavorful. Bones make up about half of the weight of spare ribs, so again, take this into consideration when buying your ribs! 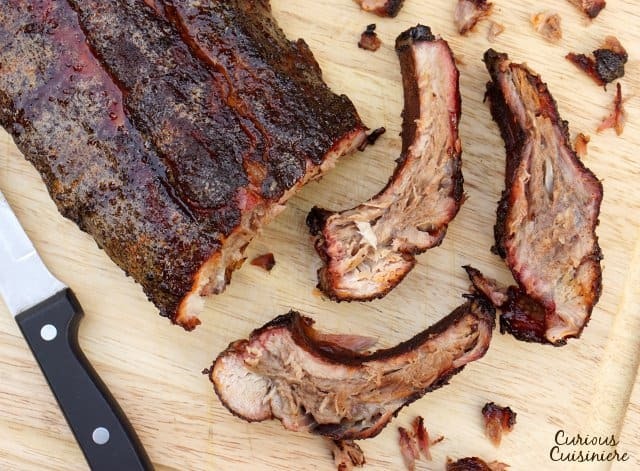 St. Louis ribs are just the spareribs without the side of gristly rib tips. This gives you a nice and even, flat and rectangular slab of ribs. 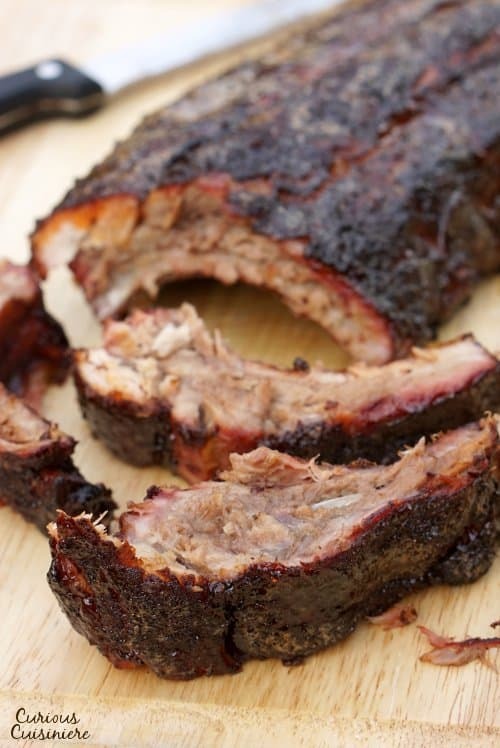 To smoke our baby back ribs, we followed some of the charcoal grill smoking tips from Steven Raichlen, the author of the “Barbecue Bible” cookbook series. His latest cookbook is called “Project Smoke” and has a TON of great recipes and tips that make smoking meat easy. When cooking ribs, low and slow is the best way to go for tender, fall-off-the-bone ribs. We like to smoke our ribs at around 250F for 3 hours or so. When the meat starts to pull away from the bones, that’s when you know your ribs are done to the perfect fall-off-the-bone point. 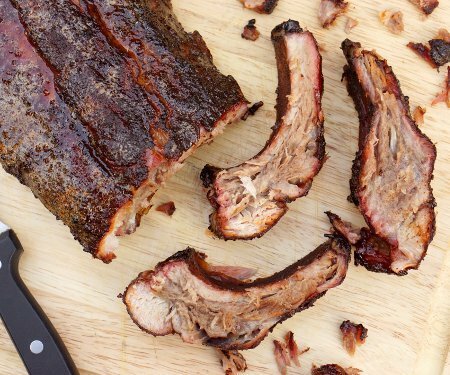 Now, if you want to cook up some super tender ribs, but you don’t have a smoker, don’t worry. 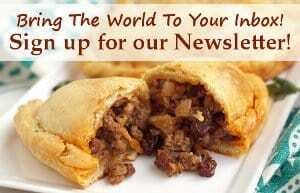 Check our our article on the basics of smoking ribs on a charcoal grill. 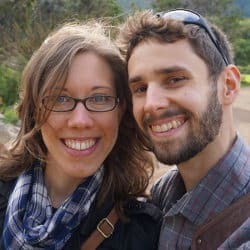 the technique is incredibly easy. This is the way we smoked ribs for years before we had a smoker, and the way that Steven Raichlen even suggests for cooking his ribs. Full disclosure: the recipe that we’re sharing below is not quite your quintessential Kansas City rib recipe. 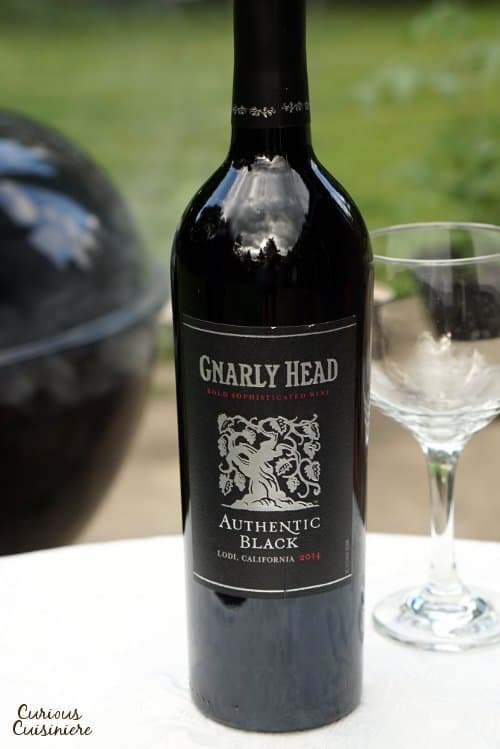 This recipe was created by Steven Raichlen, not to fit into a particular BBQ style, but to be the perfect pairing for Gnarly Head winery’s Authentic Black Wine. 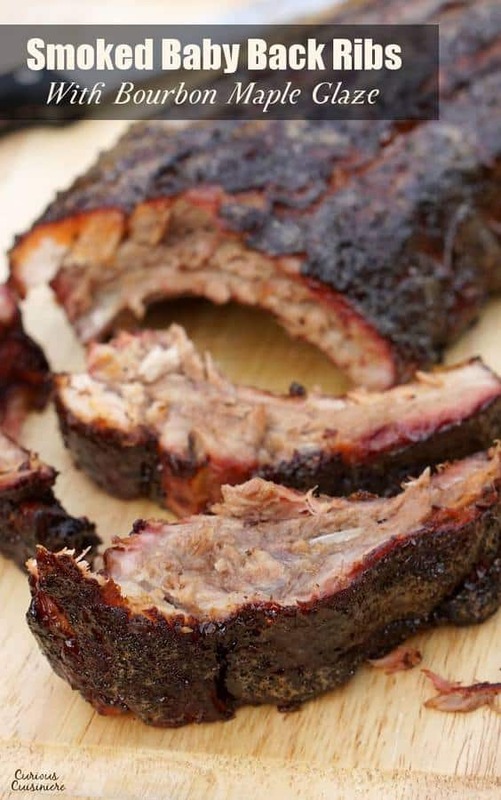 We do think that these ribs fit nicely into the Kansas City BBQ style though, because they are first seasoned with a dry rub and then bathed in a sauce at the end of the cooking time. The sauce used here is a sweeter sauce that is not a tomato base, so true KC BBQ fans might be a little disappointed, but remember, there’s variation within each region’s BBQ and the bottles of KC Masterpiece sauce that you find on your grocery store shelves do not define the standard of Kansas City sauces. Ribs and wine might seem like an unusual pairing, but when it comes to the bold flavors of Gnarly Head wines, bold, smoked meat is the perfect answer. These ribs combine juicy pork with a splash of pepper and a deep, carmel-y, bourbon-maple glaze. The play of the meat, spice, and sweetness is a perfect balance for their Authentic Black wine. The wine itself boasts a bold and juicy, dark fruity flavor that is perfectly balanced with a smooth, oak-aged dryness. 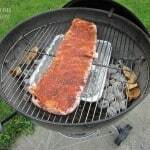 These baby back ribs are seasoned with a pepper-infused dry-rub and bathed in a bourbon-maple glaze for the Kansas City BBQ ribs style of both wet and dry seasoning of ribs. Place the ribs on a baking sheet. 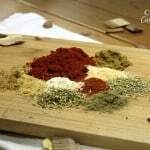 Combine the rub ingredients in a small bowl and mix them well. Sprinkle the rub onto the ribs on both sides, rubbing it into the meat. Preheat your grill to a low heat, around 250F. While the grill is heating, make the glaze. Combine the bourbon, maple syrup, butter, and vanilla in a small saucepan. Bring the mixture to a simmer over medium heat. Boil the glaze until syrupy, 4-6 minutes, whisking as it boils. Set the glaze aside to cool, stirring occasionally. Once the grill is preheated, set it up for indirect cooking. (See how HERE.) Add half of the soaked and drained wood chips to the coals. Place the ribs on the grate, bone-side down, away from the heat. About 30 minutes before the ribs will be done, baste them with the glaze. 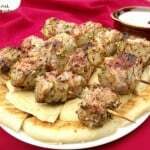 Continue basting twice more before serving.